Hey everybody, I finally picked my colors and now I have them! 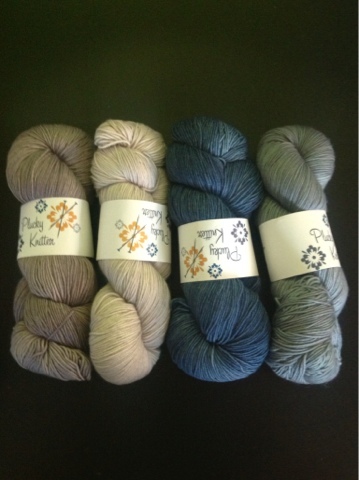 For my main color I chose snowbound, then long john, almanac, tent and embers. I haven't quite figured out what order they will be. Wow did that take along time to pick out. So many colors so many decisions! I have a question though, has anyone ever used the loft colors before? I started to think about the colors running. I was talking with Melissa and she suggested to color test them before using. I'm going to do that for sure but I just was just wondering what you know or think. What better way to kick off the Summer than to have a fire in the back yard, some beer and work my my Quill. Happy Summer!!! If you are counting the colors of yarn I have there are a few extra. I will narrow down the final colors when I need to. I am using prime alpaca and loving this mindless knitting so far! will be a lovely blanket for my husband (who patiently waited for an hour while I changed my mind again and again before settling on these colors). 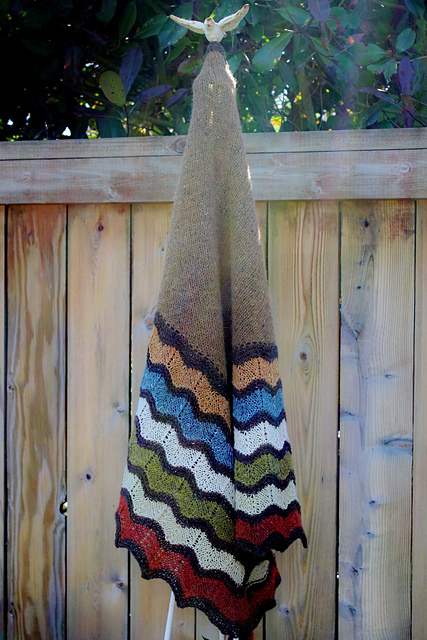 Thanks to the awesome staff at CM who helped me wrap my head around how to estimate how much yarn I needed to upsize this pattern from a shawl to a large throw. Your patience and determination to not let me leave empty handed was very much appreciated!! Phew ~ I don't remember ever putting so much planning into a knitalong before! Ready to cast on? I am! And there is always room for more knitters if you'd like to join us ~ all the info can be found here. 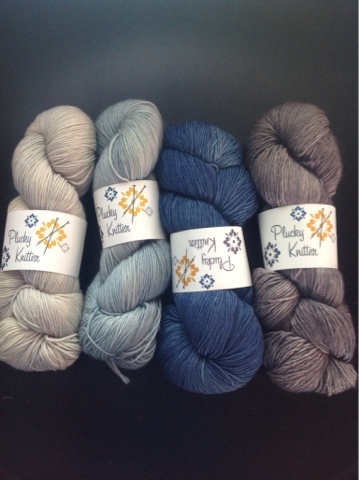 We'd love for you to knitalong! 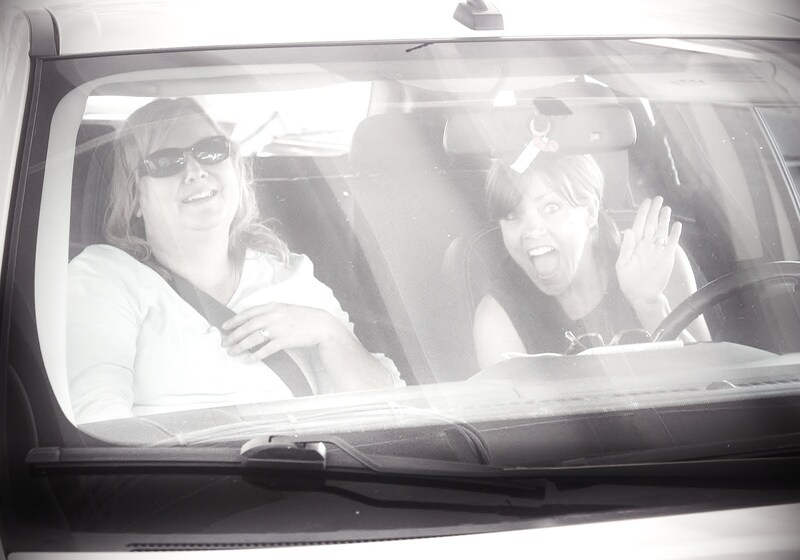 So this is it my very first blog post. 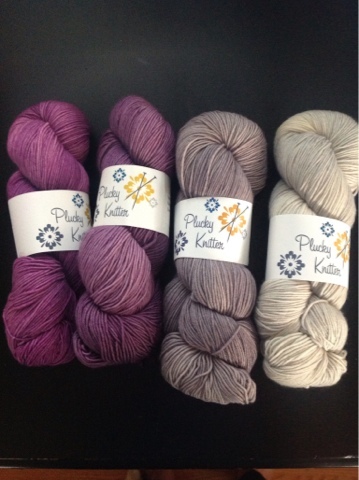 I am thrilled to be part of the Quill KAL, that starts in the upcoming weeks (with my pace will last months;) )I placed my order from some yarn from th Plucky Knitter on 5/22 and will be waiting for it to arrive. The yarn is for the center square of my project which leaves me with the difficult decision of what to use for the border...Decisions!decisions! decisions! what's a girl to do? This girl has decided to request some help. Would you please let me know what your favorites are? As promised, it's time to catch up! 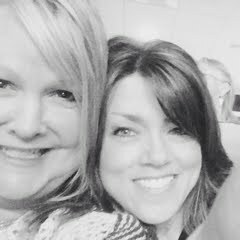 Lots going on at home so there has been little time for blogging. 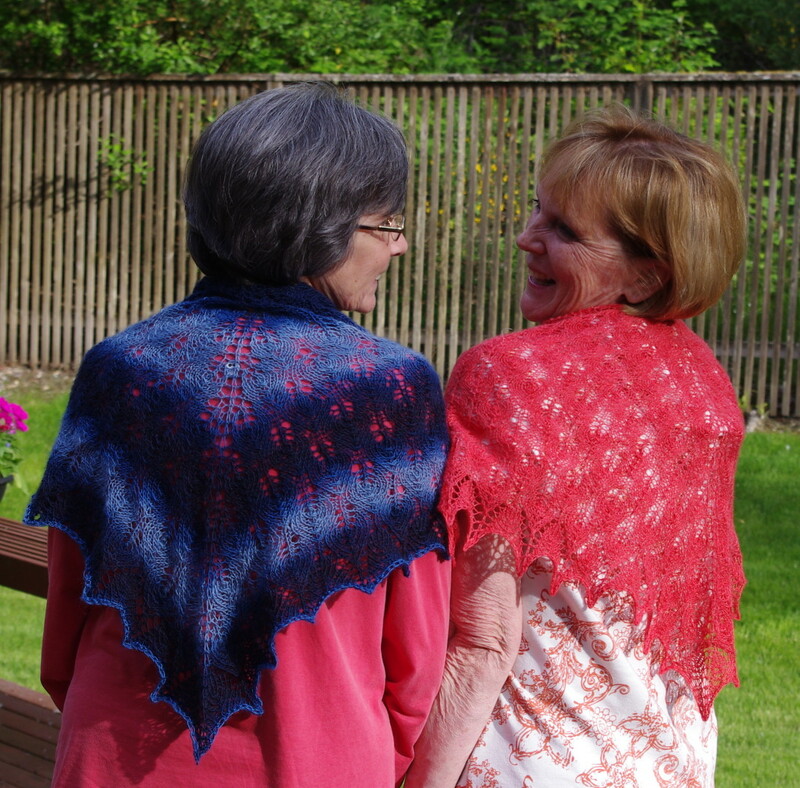 Thanks again to everyone who posted in May about their Shetland Shawls ~ they were all amazing and it was so much fun to follow everyone's progress. I think there are 3 knitters left who have yet to finish, but I know at least 2 of them are really, really close to being done. 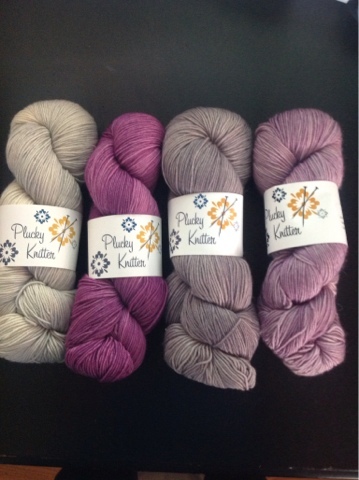 So, let's keep the ball rolling and start thinking about the next knitalong. We've missed Jared Flood and are going to do another of his wonderful patterns, QUILL , to keep in the Shetland tradition. Here's the link to the page (also on the sidebar) with all the info!. Add a comment if you're joining us and you're a repeat guest blogger, and if you're new send me a note on Ravelry and I'll get your info from you there. 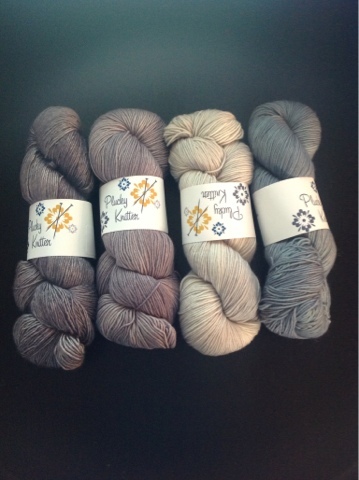 Now to explain my absence during the May KAL. No excuses. I had the yarn wound, beads picked out, needles at the ready...but I lacked the motivation to cast on. 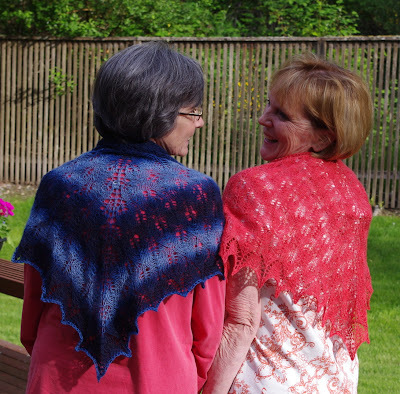 Then day after day your beautiful finished shawls were posted and I kept thinking 'today is the day I get started', but I still couldn't seem to muster the excitement. Finally towards the end of May, I buckled down and cast on. I knit for 2 days, beads and everything. And then I took a look at my work and...yuck. So with a pang of guilt, I ripped it out and decided not to beat myself up about not participating this time around. Take my word for it ~ it was not pretty. 'Hot Mess' kept popping into my head the entire time I knit it (it was madelinetosh yarn, you know, so it was definitely a HOT mess!). I was productive in May, though, and up to things unfamiliar and unlike me! I entered a photo contest for the first time. Two photos, each with a caption ~ and that's all I'm going to share right now. I wrestled with some self-doubt and waited til the final hours to submit my pictures, but they have been sent and received and now it's a waiting game til August to find out how I did. Regardless of the outcome, the hurdle for me was entering at all so I'm proud! I think that's everything noteworthy that I have to share. I probably won't resurface until the start of the next knitalong ~ we've been prepping for fence staining and house painting for weeks and the crew, weather permitting, will be here tomorrow to get started. 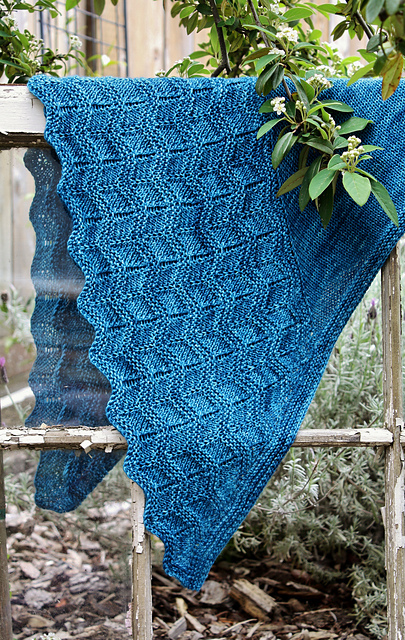 So, until then, happy knitting and see you soon for Quill! Penny ~ this one's for you. I think you get my point? 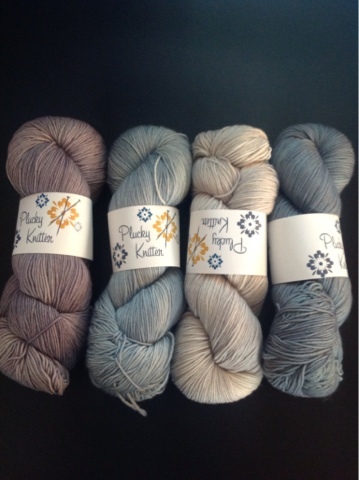 Stay tuned ~ I'll post more this weekend and also 'fess up about my disappearing act for the May Day KAL. 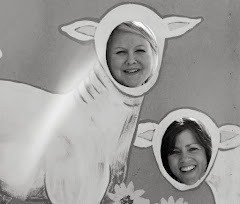 Thanks everyone for keeping the blog so much fun last month while Kelli was test knitting like a madwoman and I was, well...doing nothing near as fun but I'll fill you in later. 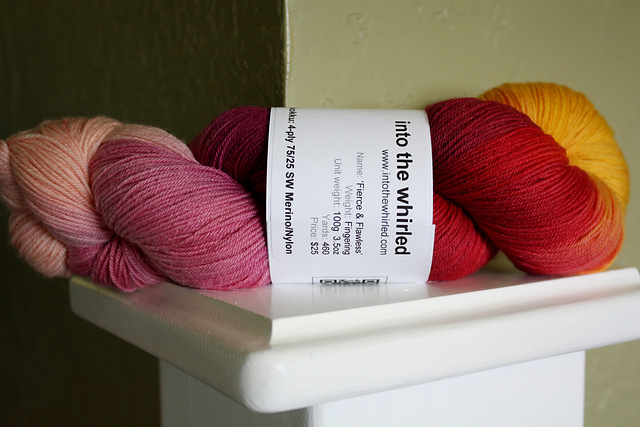 A couple a weeks ago I was asked to 'test knit'.~ This package came straight from Jared Flood's mill! I wish I could tell you all about the amazing piece I just finished, I'm thinking this fall or winter I can. 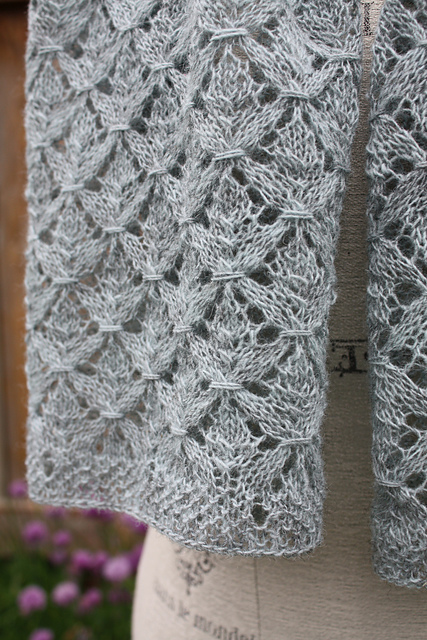 I've seen all the fabulous lace shawls you've created, and from pictures and words it seems like most of us have a new favorite or favorite 'go too' project when needed. Thanks for letting me share my excitement , and I hope to see everybody around this summer.